Nigerian afrobeats star, African Artiste of the Year for the 2019 3Music Awards in Ghana, Victor Adere aka Victor AD has indicated that, he appreciates the effort most media houses in Ghana have put in to support his career as an artist from Nigeria. 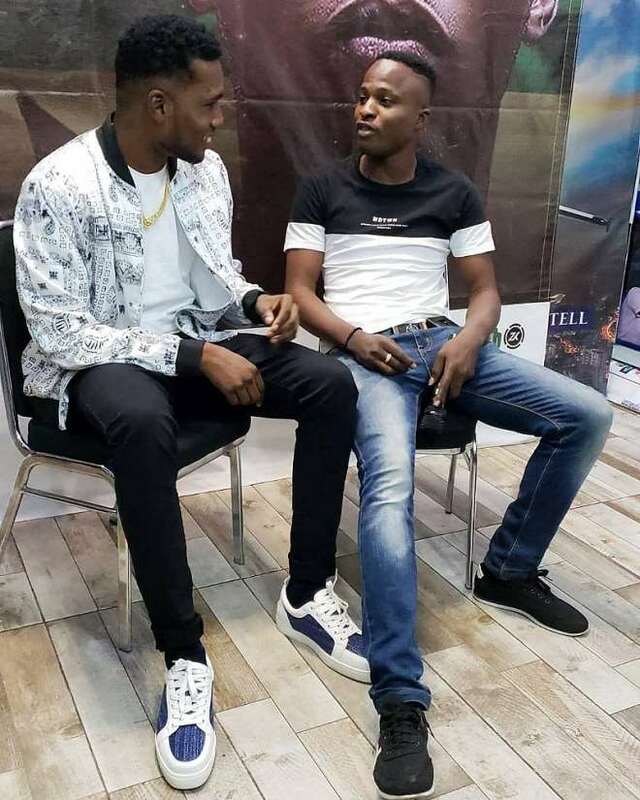 Over the weekend, Victor AD hosted most Ghanaian media houses and some fans at the Cockpit bar and Lounge inside Achimota Mall, where he showed loved back and urged the media to keep supporting him. He mentioned that, his brand has a lot to showcase and this is the time they need the media to support he and his brand. Victor AD stated that the Ghanaian media has been very influential in his career since day one and he is grateful. He added that he is currently working with some top Ghanaian artistes and very soon he will release some songs he has done with Ghanaian artistes. The event saw some top Ghanaian media personalities who came there to support him and also chat with him. Victor AD hinted that, he is in talks with some top Ghanaian musicians such as Sarkodie, Shatta Wale, Stonebwoy etc to collaborate with them. Victor AD is currently out with Tire You which features Davido and that song is really blowing fast.